I couldn’t have missed this. Don’t mock me, but I tend to gravitate towards all things Italian (and, often, I find that I am either offended by the blatant misconception of Italian culture or amused by the silly stereotypes…Jersey Shore ring a bell?). 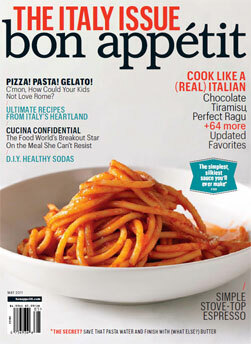 When I came across the latest Bon Appetit’s issue, well, I jumped up and down for joy. 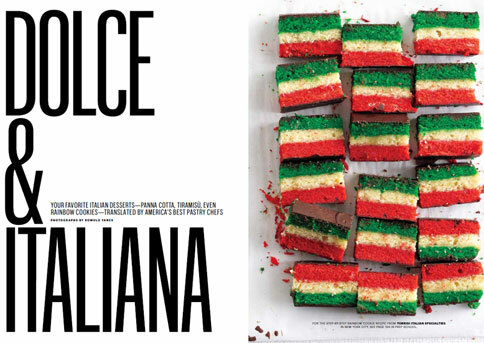 I wasn’t really taken by the cover image—it kind of looks like something I would cook and photograph—but by the headline: The Italy Issue, written in bold, red letters. (Thank the deities it wasn’t imitating the colors of Italy’s flag). Yet, the entire cover look seems a bit uninspired. And boring to be honest. But newly minted editor-in-chief Adam Rapoport (formerly style editor at GQ) has his reasons. “I love just a clean, graphic cover, and there’s something simple and beautiful about pasta pomodoro and made the right way and it’s glossy and luxurious and there’s a luxurious simplicity to it,” he said in an interview with Eater.com. Kudos for giving Emilia’s food culture nice relevance—it is, after all, the land of Parmigiano Reggiano and of the prosciutto di Modena—but it would have been equally, if not more successful, to break away from the rustic ideals and move towards the new wave of Italian chef-artists. Chef Massimo Bottura is the new Michelangelo. His restaurant, Osteria Francescana, recently ranked as the fourth best restaurant in the world. It’s haute cuisine. Italian food can still be comfort food, but it’s so much more—it’s conceptual, inspired, cosmopolitan, it’s relevant, new and different. Here, for example, is Massimo Bottura explaining how he uses foreign ingredients and honors them in their purest forms. And here, Bottura shows his genius. Oh, it’s only in Italian, but if you forward the video a bit, you can see how he creates a modern twist on a traditional dish from Emilia – snails bourguignon. He went hiking in the hills of Modena one winter and was inspired to recreate the environment he observed into his dish—the soft looking whipped cream you see as he completes the dish is a garlic foam that represents snow. The title of the video says it all, I think. La rivoluzione siamo noi – We are the revolution. Francesco was very nervous about changing a perfectly executed classic. 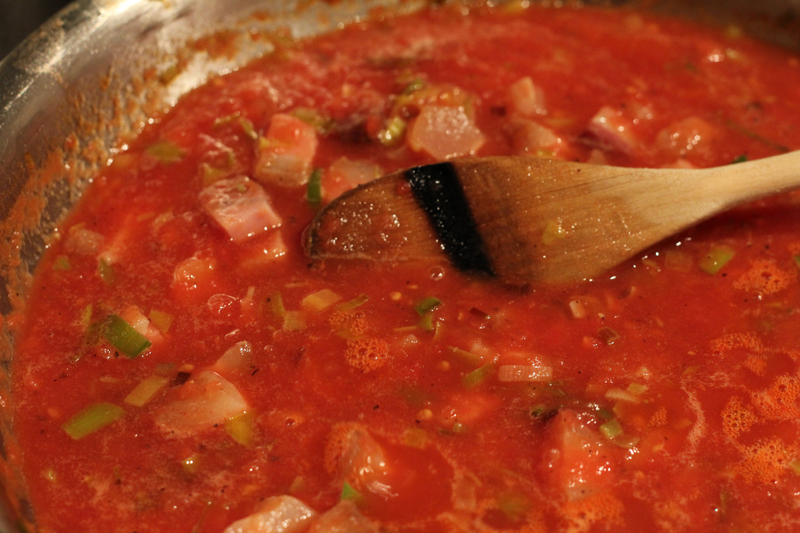 Bucatina all’amatriciana is some sort of untouchable dish in his native region. He is from Rieti, right in the center of Italy and about an hour from Rome. Just a few miles away is Amatrice, a small town made famous by the savory sauce. Still today, 10 long years after moving to the United States for grad school, he still feels uncomfortable messing with it. 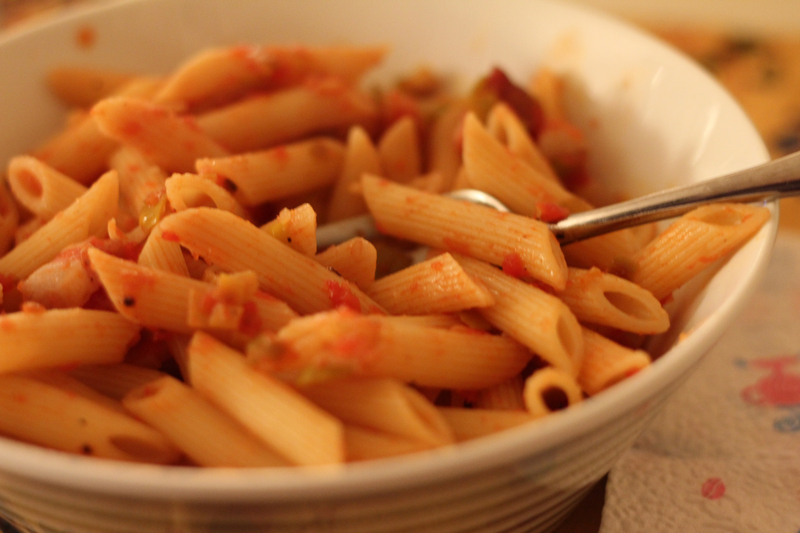 It just occurred to me that I haven’t shared any of my pasta and sauce recipes. It turns out that 2.2 million of Italians are “addicted” to pasta and eat it for lunch AND dinner every day of the week (from the first Coldiretti-Censis report). Twice a day for seven days a week! That’s very impressive. Francesco and I decided to twist the amatriciana sauce with leeks instead of shallots. Leeks are much softer, both in texture and taste. The traditional base for the sauce stayed the same: Two big cloves of garlic are thinly sliced and cooked in a non-stick pan for about 2 minutes or until golden. 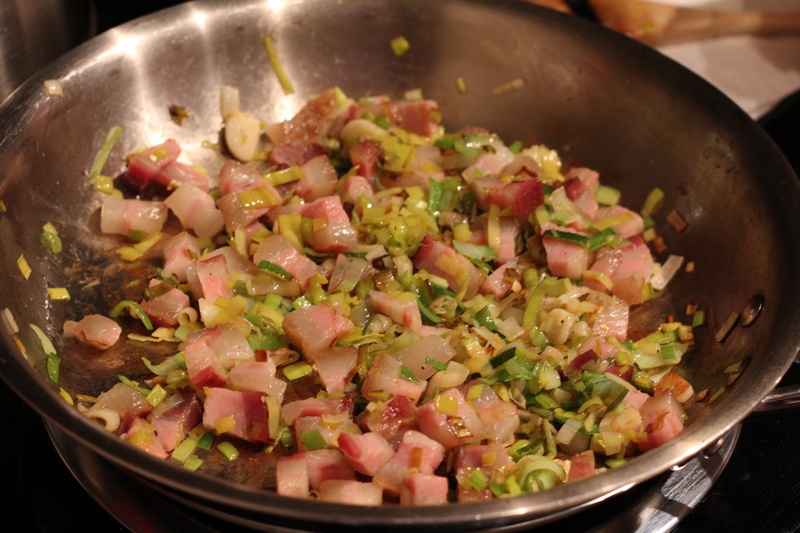 Instead of shallots, we diced one medium-sized leek and added it to the pan. 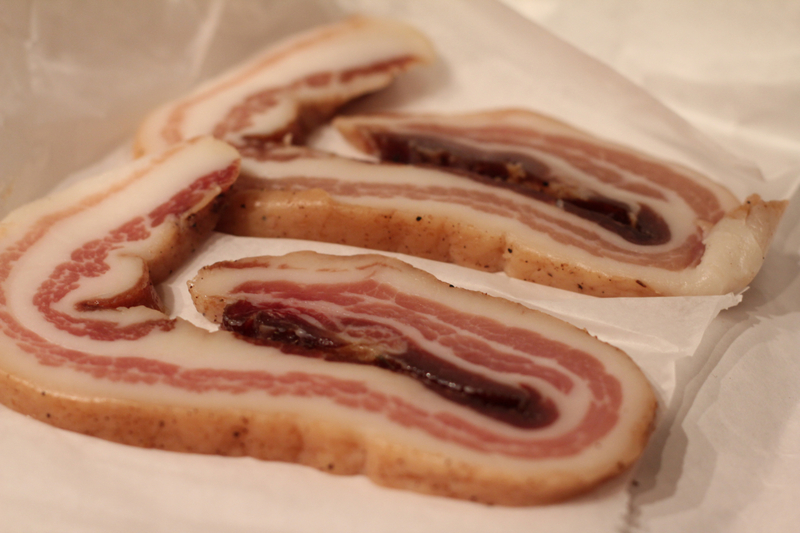 The traditional recipe calls for guanciale, unsmoked bacon derived from a pig’s cheeks, but we used Italian pancetta—equally delicious. 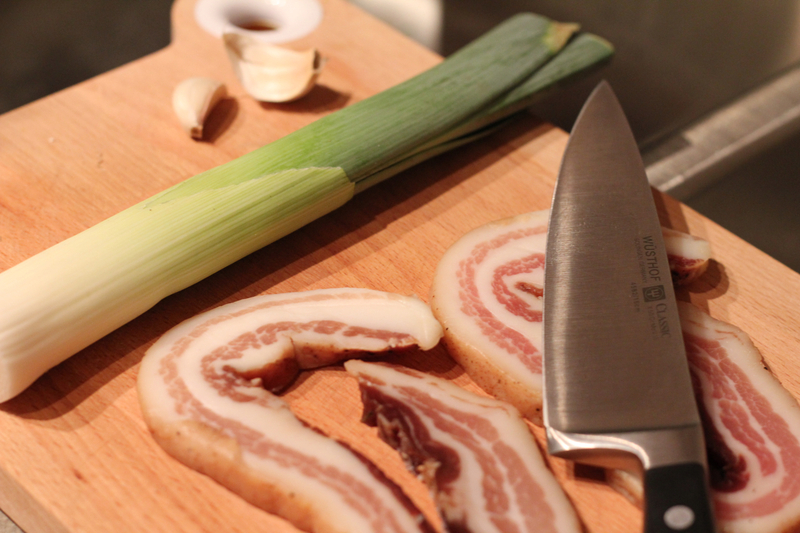 After dicing the pancetta and adding to the pan with the rest of the ingredients, we added a bit of white cooking wine and seasoned with salt and black pepper. At this point, we added crushed tomatoes and let the deliciousness simmer for about 8 minutes. 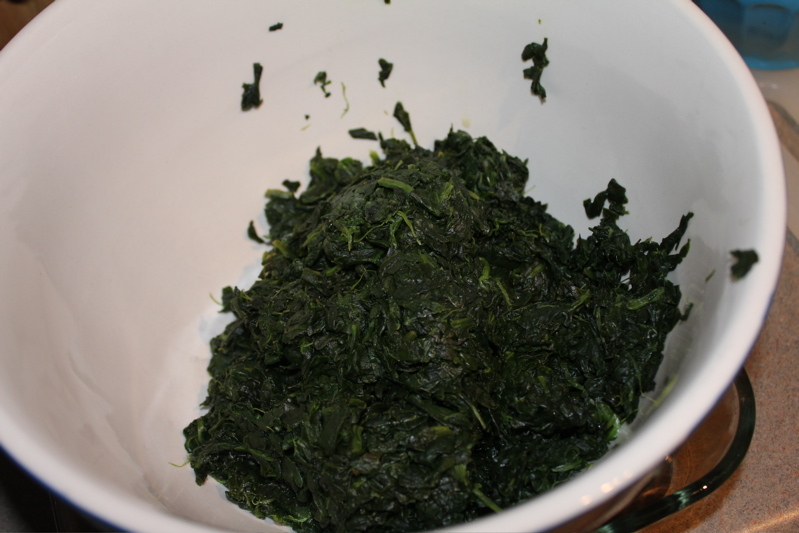 While the sauce is simmering, pour water in a pan and bring it to a boil. 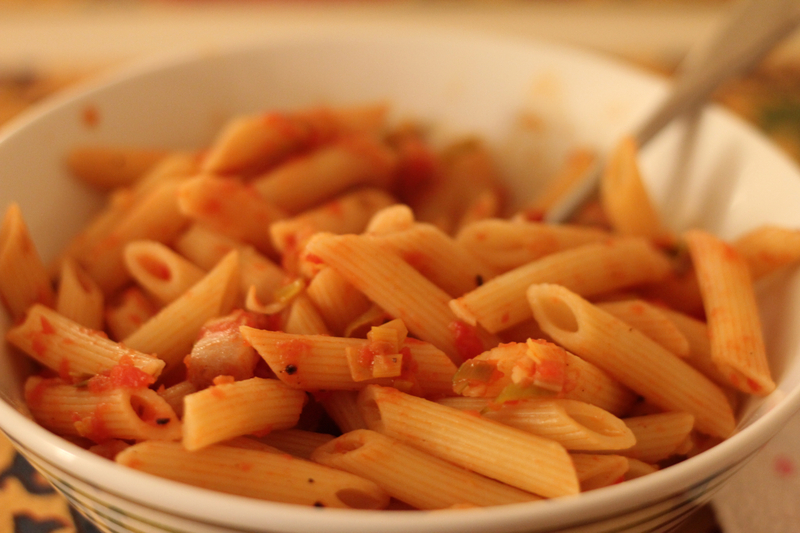 When ready, add the pasta—we chose penne rigate for its versatility (bow ties or fusilli will also do), and cook it for about 10 minutes or less if you, like us, like it al dente. Strain the pasta, place it back into the pan it cooked in and pour the sauce over the pasta. 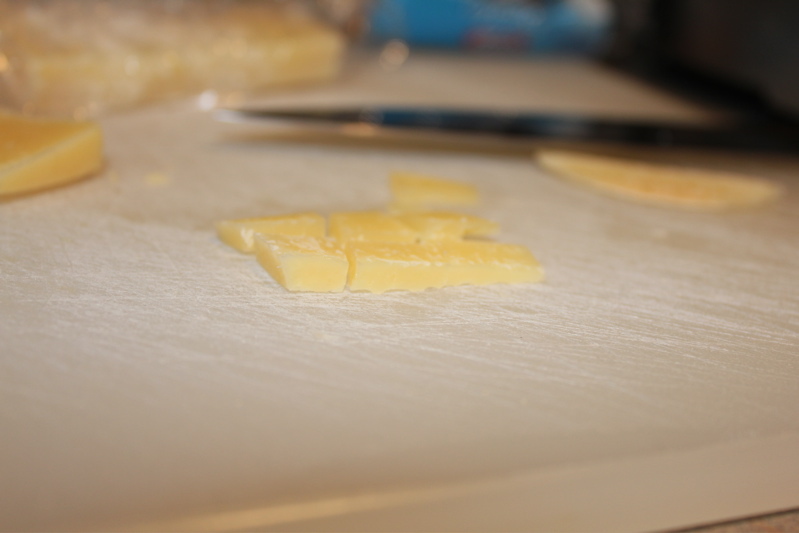 To complete it, grate a bit of Parmigiano Reggiano or, even better, Pecorino cheese on top. Buon Appetito! It seems fitting….Buona Pasqua! In the midst of succulent Easter lamb dishes and rivers of red wine, this almondy cake remains the staple of every Italian kitchen. 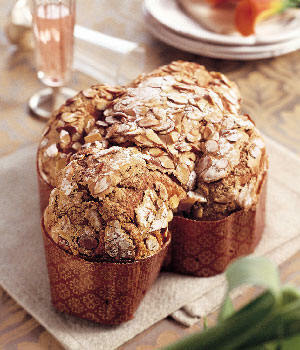 The traditional Italian Easter cake…la colomba pasquale. 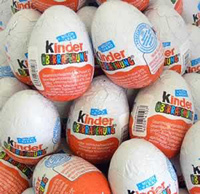 But, for us kids, Kinder eggs were the real deal. 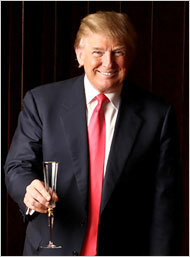 In fact, I am headed to Foods of All Nations in Charlottesville to get some and celebrate in style. Happy eating! What’s the best food combination? Chocolate and bananas, of course! 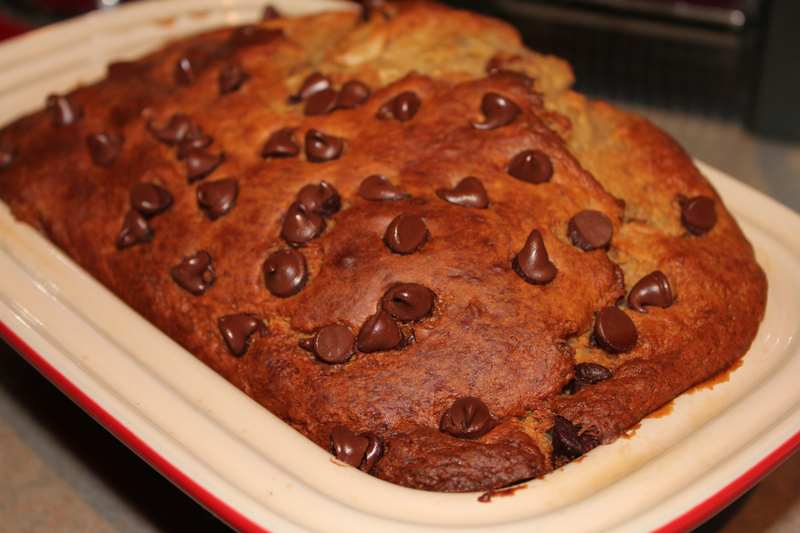 Bananas are delicious, healthy and perfect for baking. I love bananas for breakfast, especially coupled with strawberries and blackberries; for a quick eat-at-your-desk work lunch and to satisfy that sweet tooth after dinner. I discovered banana bread in college. I was skeptical of a savory bread—the ones I had tried before were either too sweet or not sweet enough—but I was blown away. 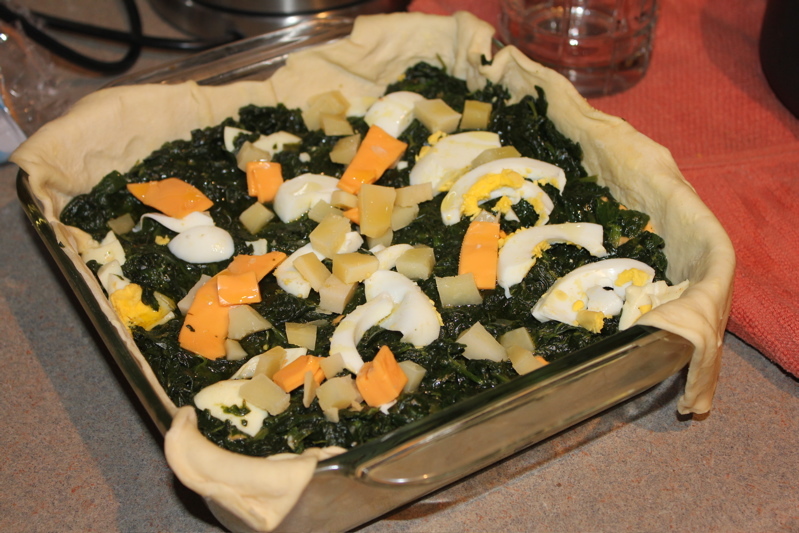 I’ve tried multiple versions of this recipe, but this is my favorite. Happy baking! 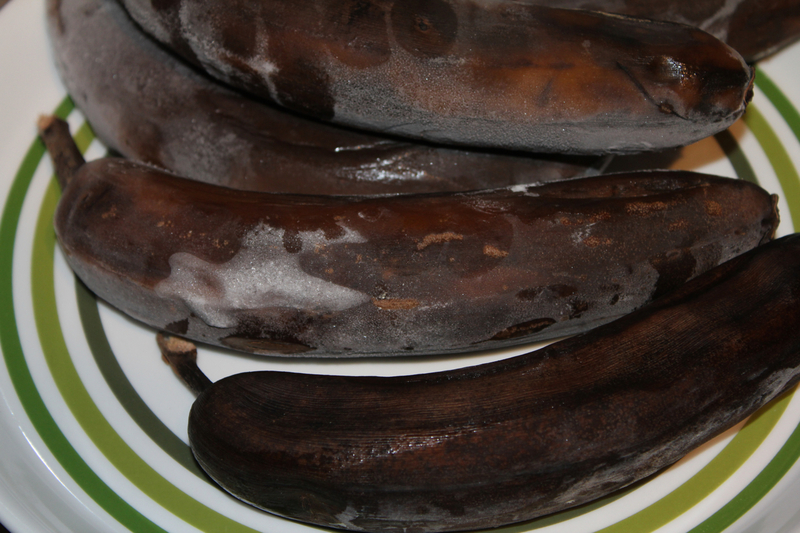 When I have ripe bananas laying around the kitchen, I freeze them just for this purpose. 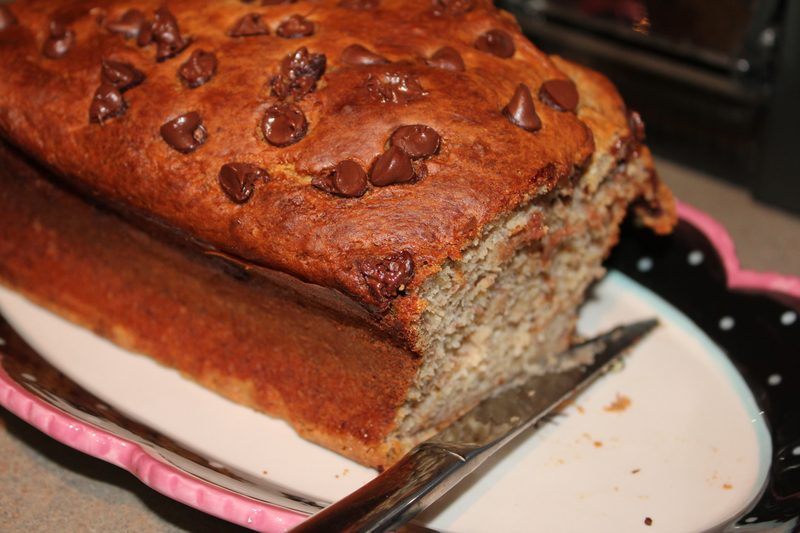 I use a lot of bananas, if you like a less dense bread, you can use 4 bananas. Let them thaw until tender. In the mean time, preheat the oven at 350F. 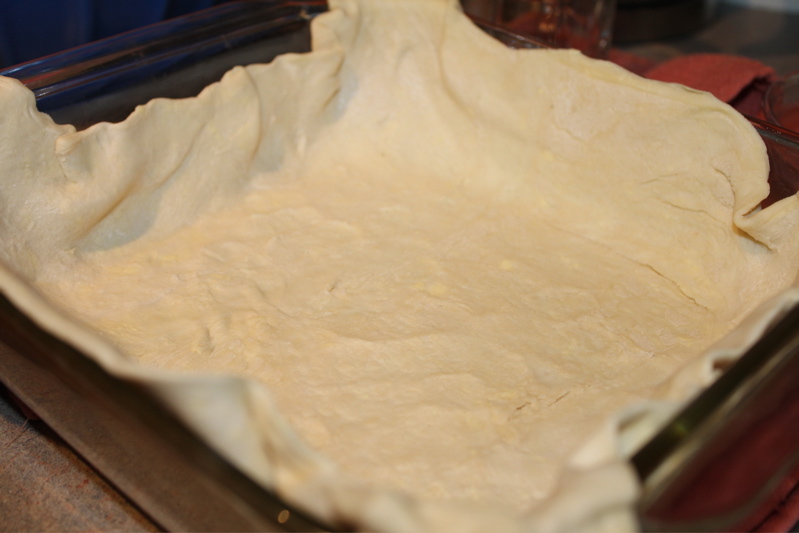 In a bowl, mix the dry ingredients: flour, baking powder and salt and set aside. Now, for the wet ingredients. 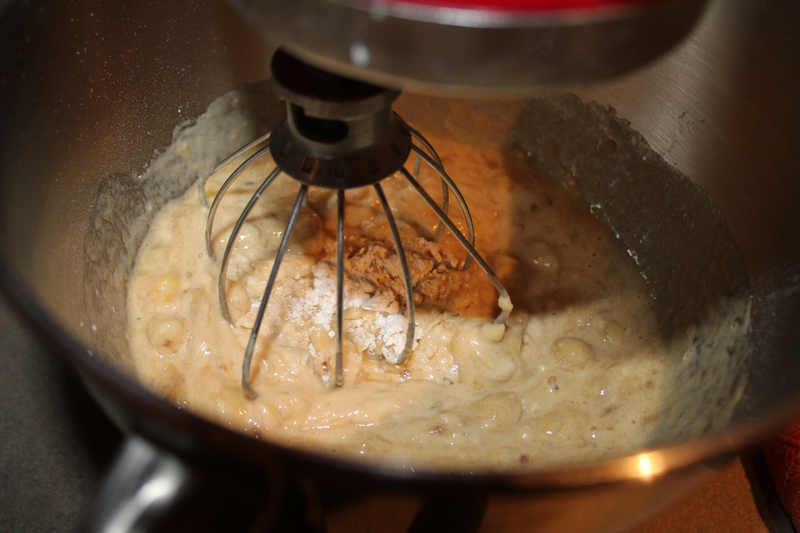 In a mixer, combine eggs with light brown sugar and mix until a light and fluffy cream is formed. 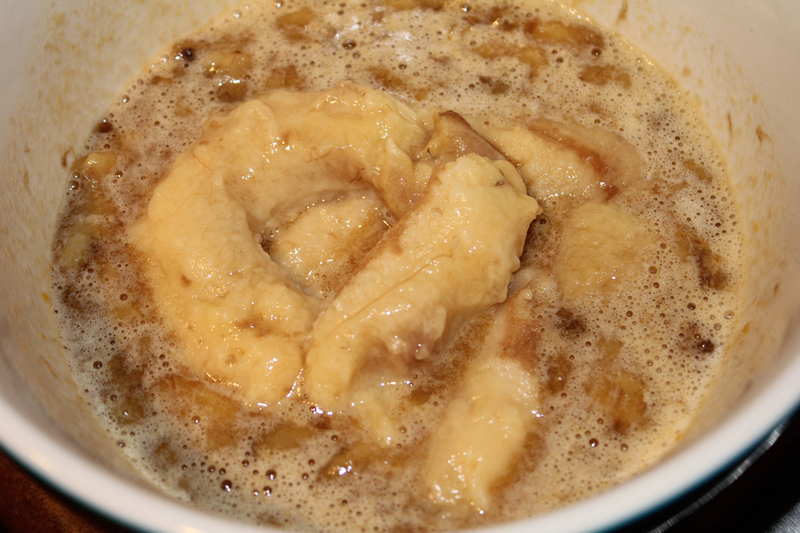 Once the egg mixture is ready, peel and smash the ripe bananas and add them to the eggs and sugar. Stir the bananas for about 30 seconds until the new mixture is uniform. Add the vanilla and the hint of honey. 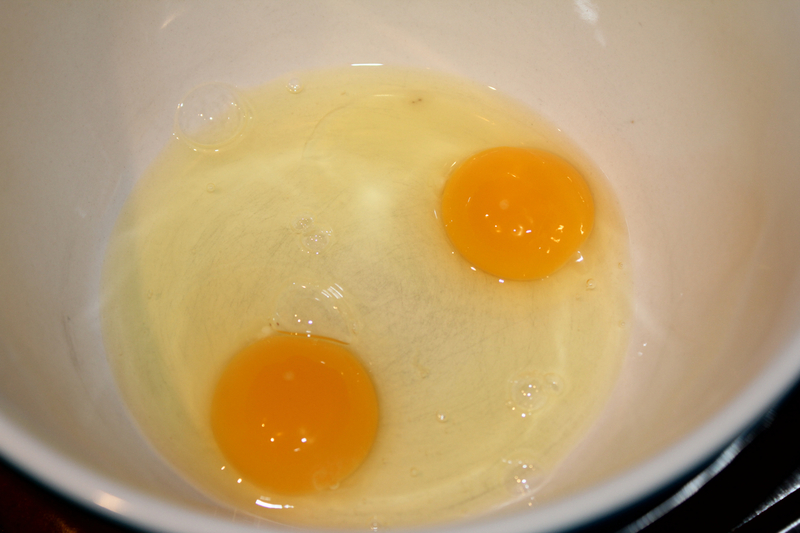 Add the flour, baking powder and salt to the egg and banana mixture and stir until well blended. I try to incorporate chocolate in all of my baking endeavors. 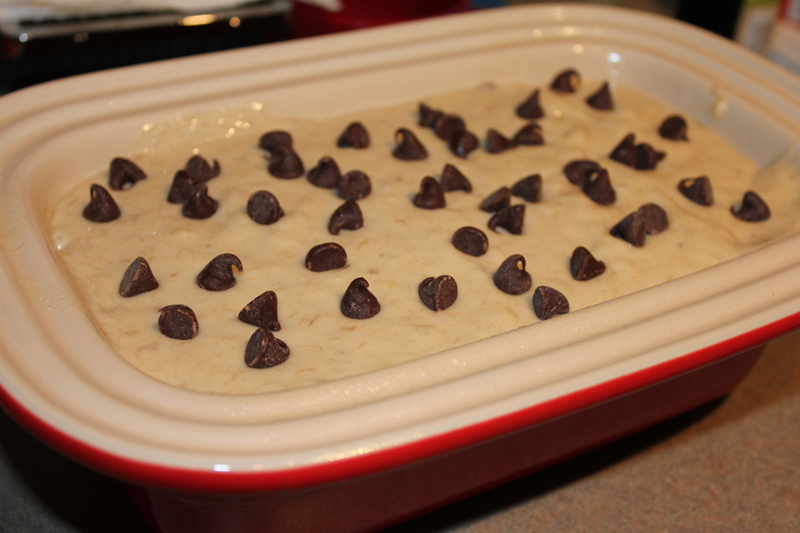 So, I dusted off some semi-sweet chocolate chips that I added to the dough a little bit at a time. 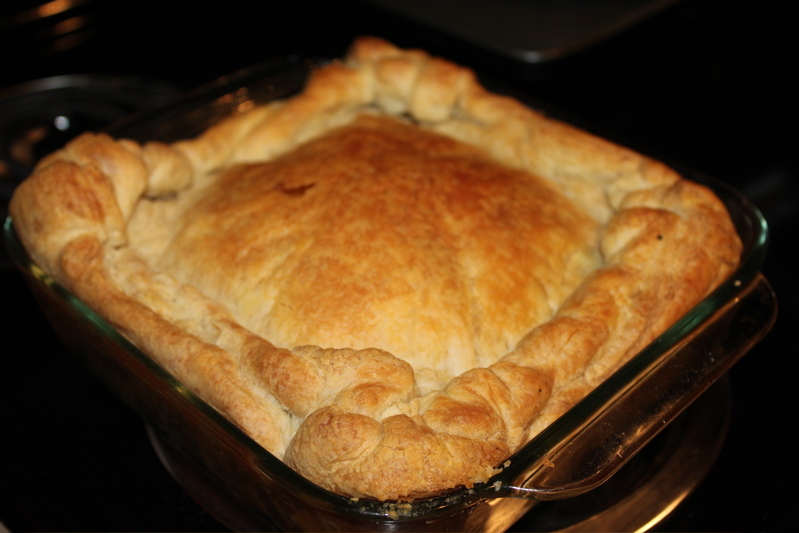 Pour the batter into a greased 9×5 loaf pan. 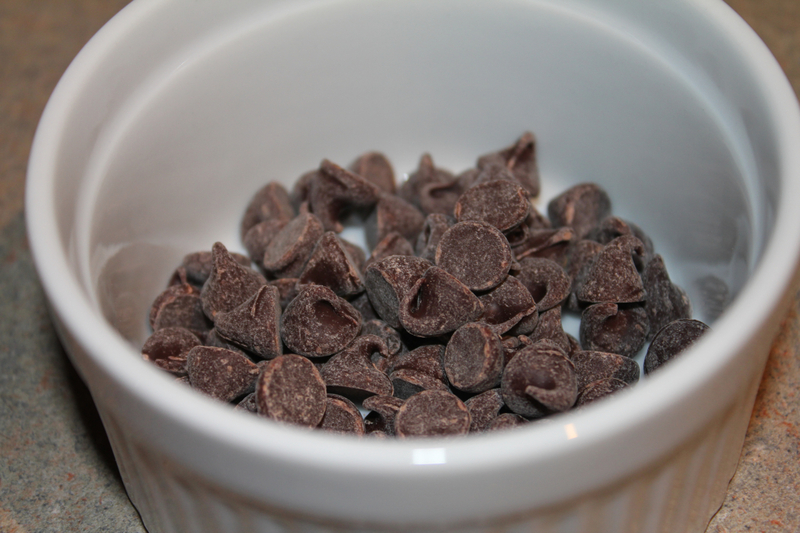 Add chocolate chip to your taste. Bake in a 350F oven for about 45 minutes. And here it is! It is the perfect mid-morning or mid-afternoon snack, or, if you are like me—I love a big breakfast—this bread is an excellent addition to your breakfast regimen. Enjoy! 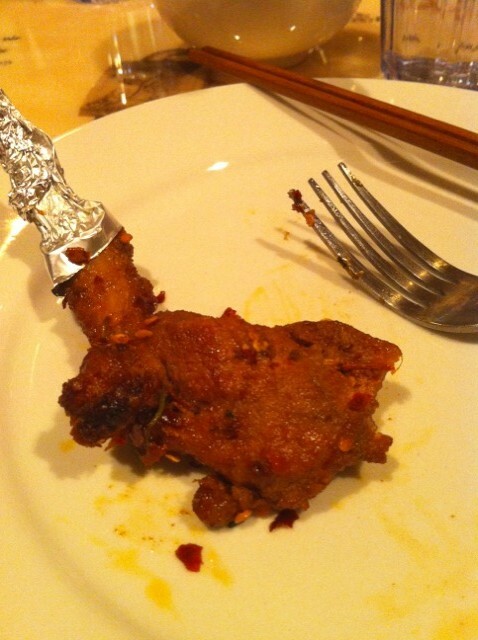 I had the privilege to try the creations of elusive chef Peter Chang back in February. Peter Chang China Grill is just want Charlottesvillians had been dreaming for: Tasty and masterly crafted Szechwan cuisine. Fun Fact: Chang cooked a meal for Chinese president Hu Jintao and moved to Washington D.C. to become chef at the Chinese Embassy. Before Peter Chang China Grill opened, the chef created headlines, both locally and nationwide, for this quick appearances and equally expeditious exists. He would pop up near Atlanta one day only to surface in Richmond the same week. (Click here and here to read more of Chang’s tours and incredible career). I love trying new things and Peter Chang China Grill didn’t disappoint. 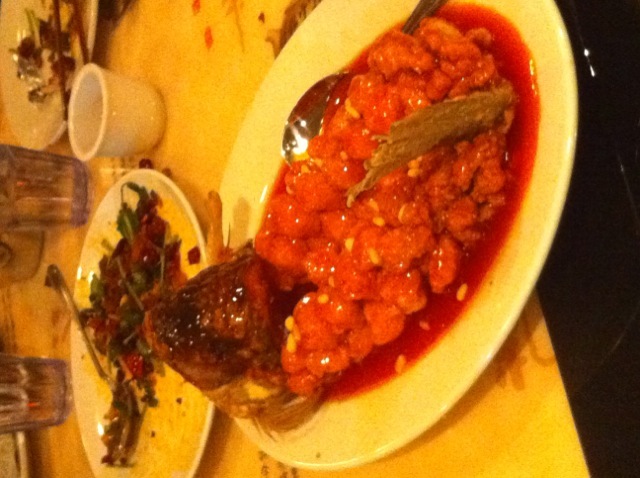 At the grand opening dinner on an unusually warn February evening, Chang prepared 16 dishes, delicacies if you will. The hot and sour soup was a revelation. It usually isn’t my favorite, but Chang’s was delicate and complex. We were served fried beef, crispy tofu and glazed duck, among other things, and the meal ended with sesame balls with bean paste. This lamb dish was amazing… if only I could taste it! (I can’t handle that much spice…see the red pepper flakes?). But these rice covered tofu balls were Out. Of. This. World., the perfect combination between soft and chewy. 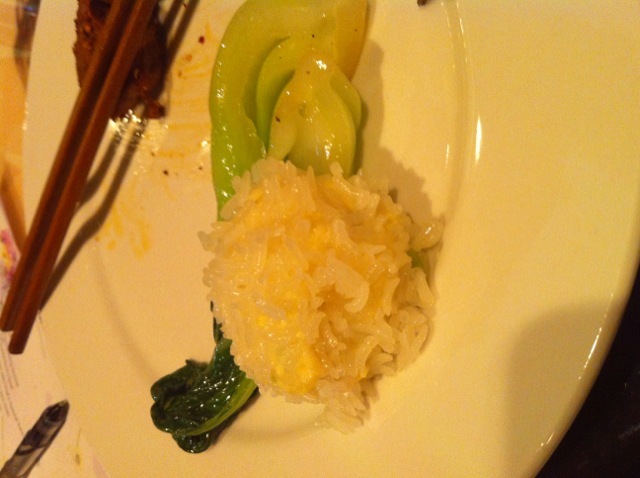 The accompanying baby bok choy were exquisite, tender and sweet. Before dessert, a whole, fried fish made its way to our table. Enough said. I highly recommend a trip to Chang’s new dig in Charlottesville. You won’t be disappointed.